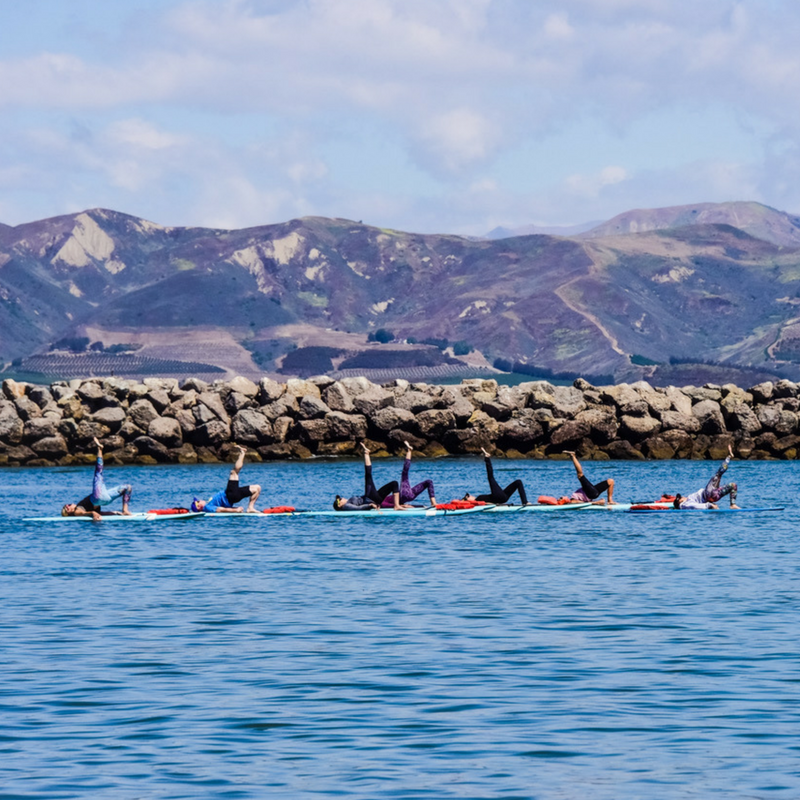 YOGAqua is a Stand Up Paddleboard (SUP) Yoga Company originated in Marina Del Rey, CA in 2011. YOGAqua has been around since the beginning of SUP Yoga. Founder, Sarah Tiefenthaler, a pioneer and leader in the industry, created a company that specializes solely in SUP Yoga. YOGAqua offers group classes and private instruction year round, as well as SUP Yoga Teacher Training courses four times per year. You can also find Sarah and her instructors creating this floating yoga experience at Wanderlust Yoga Festivals throughout North America. YOGAqua instructors are professionally trained and certified in yoga, SUP Yoga, stand up paddleboarding, water safety and CPR. Approaching the 7th year in business, and with all the continued success in Marina Del Rey, YOGAqua has now expanded to Ventura, CA, offering classes at Harbor Cove Beach! SUP Yoga is a truly unique experience; one that removes the walls of a typical yoga studio setting, making the most of nature and the ocean to revive, inspire and bring a fun and new challenge to your practice. Classes are open to all levels of experience and all equipment needed for class is provided for you. Reserve your spot at the YOGAqua website or the Mind Body App.